The recent solar eclipse birthed some seriously beautiful, unique pieces of photography. However, perhaps unsurprisingly, it was NASA whose breath-taking image stole the show. 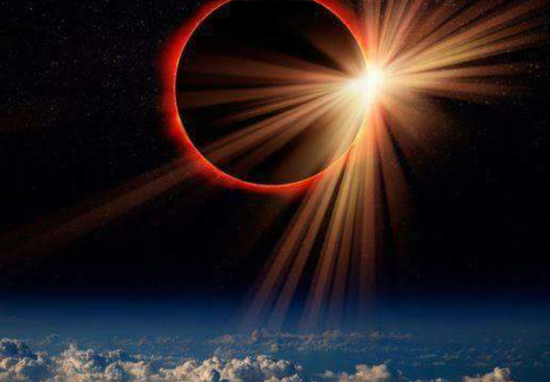 This otherworldly perspective is something most of us will never experience, but the majestic picture really gives you a sense of how it would feel to watch the eclipse from space. NASA broadcast the celestial spectacle live, all the while sharing gorgeous imagery, captured using high tech telescopes, the International Space Station, planes and high altitude balloons. The USA will not experience another solar eclipse until 2024, so this really was a momentous day for NASA. Really makes you feel a bit silly fiddling about trying to snap a picture of the eclipse with your phone in the back garden, all while trying not to look directly at it. Check out the full NASA gallery here.